You might be enchanted by something you’ve never seen before, like these darling egg-shaped, green-striped eggplants. She told me they were Brazilian eggplants, which appears to also be called jiló. But the pictures that I find show a solid green. 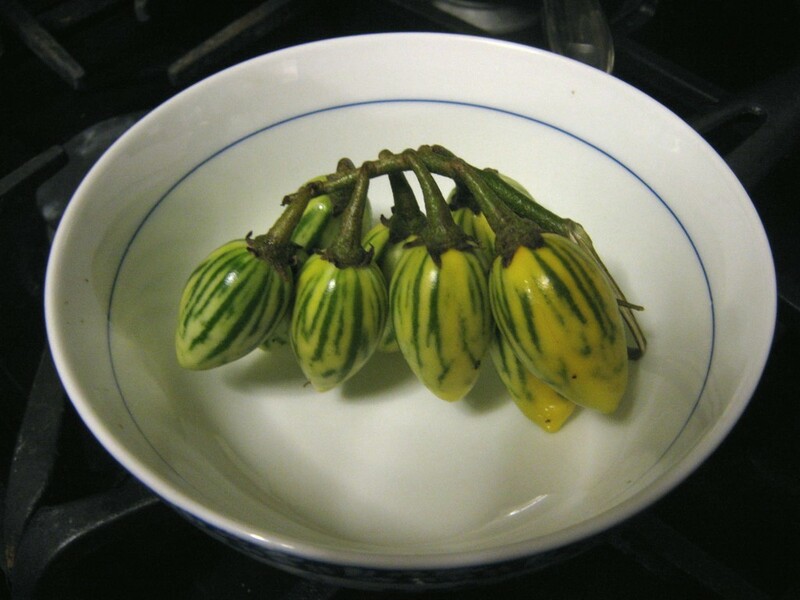 These are striped, like Thai eggplant. They’re almost as pretty as these. So what do I do with them? Shall I fry them up with onions? Roast them on the grill? Hmm. Can’t wait to find out.